In the past, Nobel Laureates in the sciences have notoriously been dominated by men, but this year two women are among the prize winners. This includes Donna Strickland, the first female Nobel Laureate in Physics since 1963. This year awards revolutionary techniques and findings in cancer treatment, laser physics and genetic manipulation of phages. James P. Allison and Tasuko Honjo’s contribution to cancer therapy in 2017 has ground-breaking implications, introducing novel methods to treat the disease. Their research investigates proteins that “release the brakes” on the body’s immune system to target cancerous cells. ‘Cancer’ describes a series of diseases where the body’s mechanisms maintaining cell division fail. It only takes one cell out of trillions to slip through these mechanisms and mutate, but once this happens the cell proliferates uncontrollably. It is notoriously uncurable, killing millions each year. Allison and Honjo’s work is hailed to possess the key to a cure, through a whole new approach to tackle the disease. It has already shown promising outcomes for many patients with advanced cases. Mutated cells are clever at hiding themselves, including enhancing the suppression mechanisms that normally prevent the immune system from attacking healthy cells. Allison previously discovered one of these “brakes” back in the 1990s, which has more recently been investigated to treat auto-immune disease. Instead, Allison sought to do the opposite. He reversed the action of these checkpoints so that immune cells would target cancerous cells. In parallel, Honjo discovered a protein on immune cells that also acts as a brake, but through a different mechanism. Together, Allison and Honjo have opened a gateway to surprisingly effective cancer medicines that have exciting prospects for the future. Meanwhile, American physicist Arthur Ashkin split the Nobel Prize in Physics with Gérard Mourou and Donna Strickland for their innovations in laser physics. What was labelled as science fiction fifty years ago is reality today. Ashkin’s work can be described as “optical tweezers”, moving and holding particles in the centre of an intense beam of light. Using only the radiation pressure of the laser beam, these “fingers” of light could harmlessly suspend living bacteria in their path. This has already seen a wide array of applications in biology and medicine. Mourou and Strickland were awarded for their development of chirped pulse amplification, a method of delivering high-intensity and highly precise laser beams. Their method amplified and compressed light into extremely short pulses to “pack” the light closer together, thus giving a more intense beam. It can “drill” holes even into living material, something that can be seen in use daily in laser corrective eye surgeries. To her own surprise, Donna Strickland is only the third woman to ever win the Nobel Prize in Physics, following only Marie Curie in 1903 and Maria Goeppert Meyer in 1963. “We need to celebrate women physicists because we’re out there,” she said. “Hopefully in time it’ll start to move forward at a faster rate. I’m honoured to be one of those women.” In response, the Royal Swedish Academy admitted the low percentage of female Nobel Physics Laureates, but assured that it is continuing to ensure women are not disregarded in physics. In 1993, Arnold focused on imposing random genetic mutations in the DNA sequences for enzymes. She wanted to find mutations that provided more functional or adaptable forms of the same enzymes. Enzymes are notoriously picky in the conditions they work most efficiently in, so it would be hugely beneficial to find mutated enzymes that work better in different environments and solvents. Her work has been ground-breaking in pharmaceuticals and the bio-fuel industry, providing greener and safer alternatives to chemical reagents previously used. The Prize was shared with Winter and Smith for their work on phage display. A phage is a small virus that can attack bacterial cells, infecting it and tricking it into producing more of the same virus. Smith realised he could alter the genetic information of the phage so that it would display a different molecule on its outside, which later became critical in research. Biologists and chemists use this technique regularly to analyse genetic material. Winter applied this method so that phages would display antibodies on their surface, which allowed him to easily screen antibodies for their affinities to different molecules and even cells. 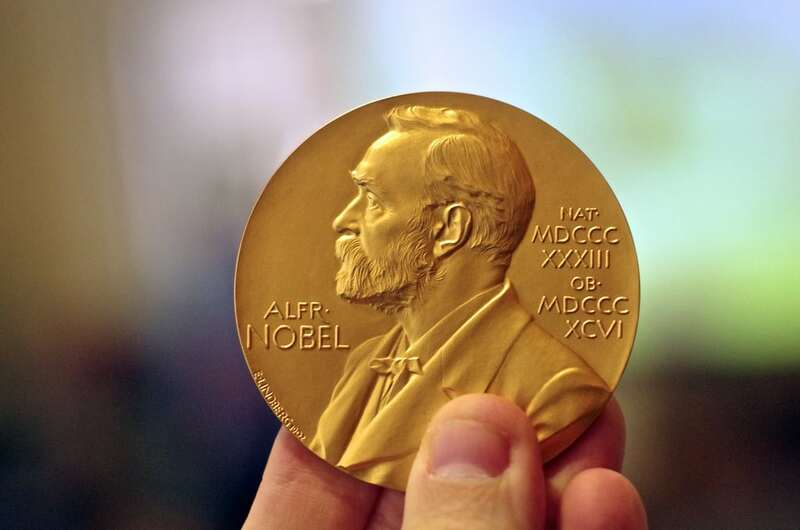 The Nobel Prizes in science have come as a pleasant surprise. When considering certain controversial opinions coming out of a recent gender equality workshop at CERN, having two women among the winners of the Nobel Prize is well-timed and welcome.